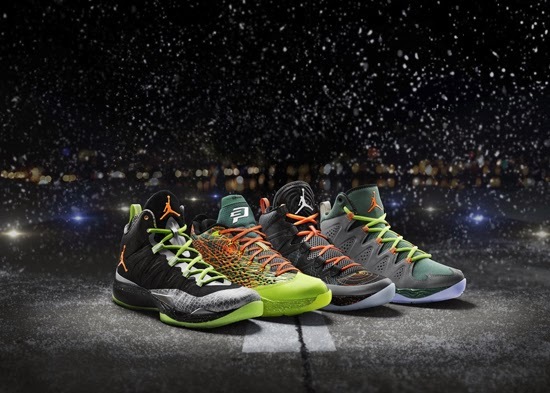 On Christmas Eve, Jordan Brand will launch their "Flight Before Christmas" Pack featuring four shoes. 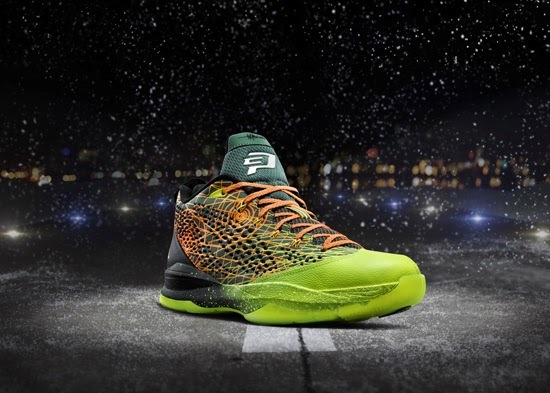 Jordan Brand and its athletes are celebrating the holiday season with flight-inspired exclusive footwear for Christmas Day. 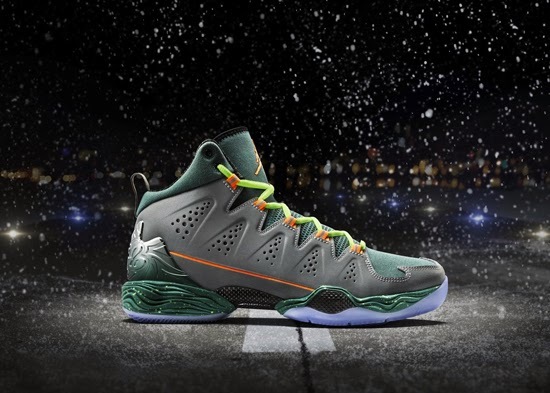 The visual elements in each shoe are inspired by air travel, paying homage to the spirit of traveling to be with family during the holiday season. 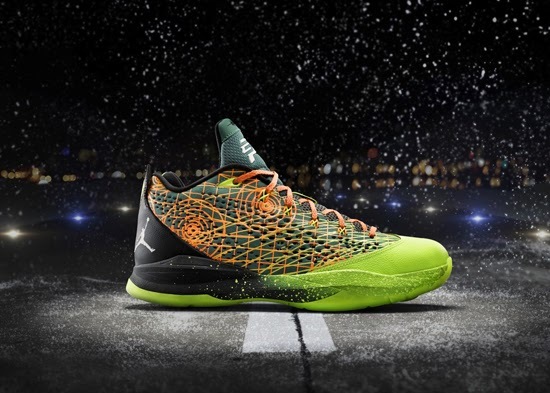 Each shoe features flight patterns and circular radar imagery representing a busy air traffic control station. 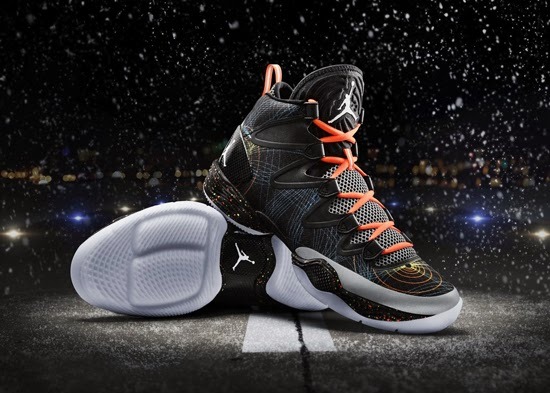 The bright colors and reflective materials on the upper are complimented by dark accents and a speckled pattern on the outsole. 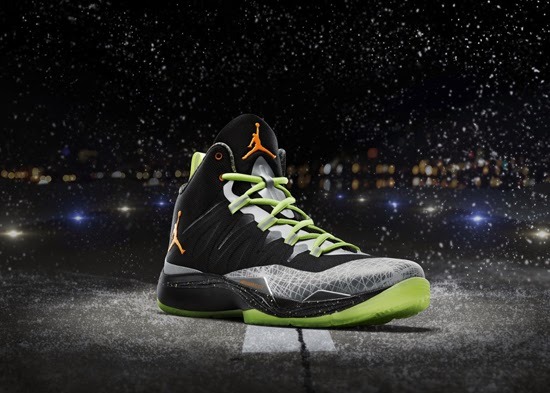 This pack features the Air Jordan XX8 SE in black, white, reflect silver and total orange, the Jordan Melo M10 in reflect silver, total orange, jade glaze and volt, the Jordan CP3.VII jade glaze, white, total orange and volt as well as the Jordan Super.Fly 2 in black, total orange and reflect silver. 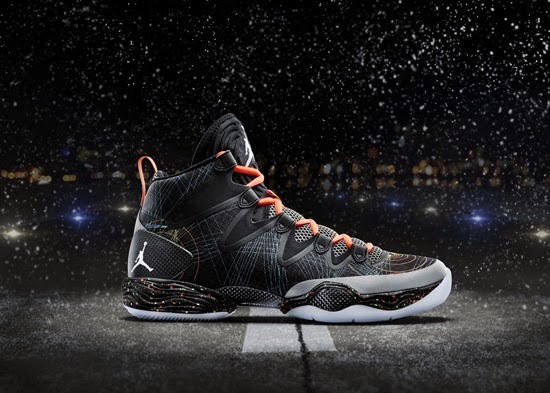 A limited release, look out for this pack at select Jordan Brand accounts worldwide on "Christmas Eve" Tuesday, December 24th, 2013. 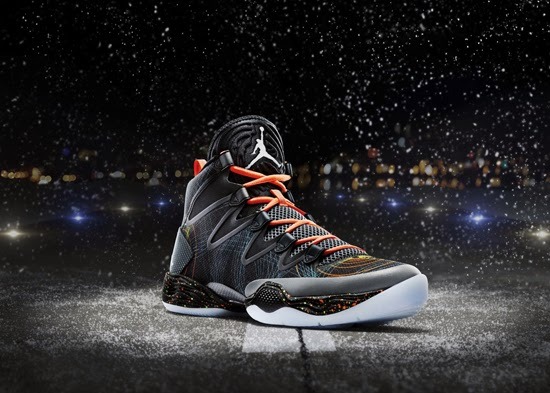 Retail for the Air Jordan XX8 SE is set at $150, the Jordan CP3.VII at $125, the Jordan Melo M10 at $165 and the Jordan Super.Fly 2 at $160. 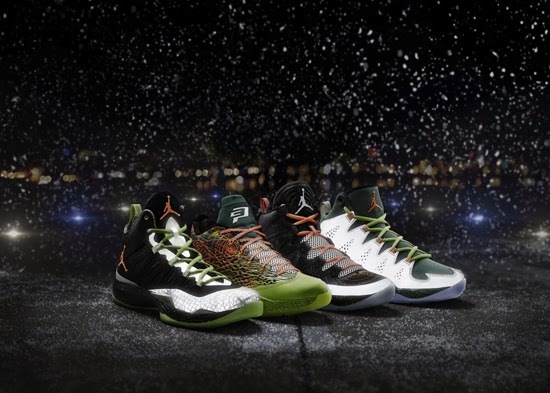 Enjoy the official images below of the Jordan Brand "Flight Before Christmas" Pack featuring the Air Jordan XX8 SE, Jordan Melo M10, Jordan CP3.VII and Jordan Super.Fly 2. If you're interested in picking any of these up when they release, check in with your local spots to see if they will be receiving them. 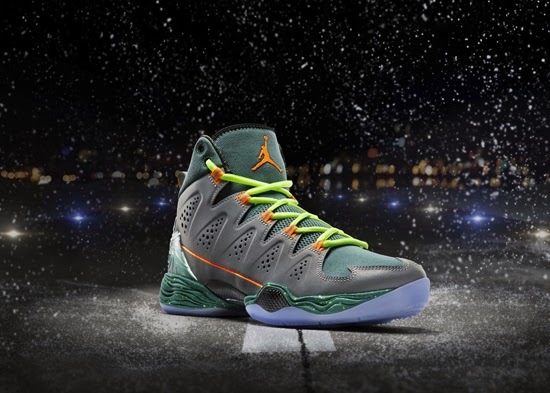 Those of you looking for a pair of the Air Jordan XX8 SE now can, grab them from eBay here. 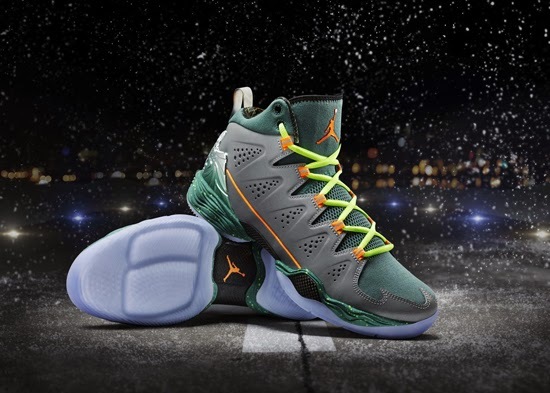 Those of you looking for a pair of the Jordan Melo M10 now can, grab them from eBay here. 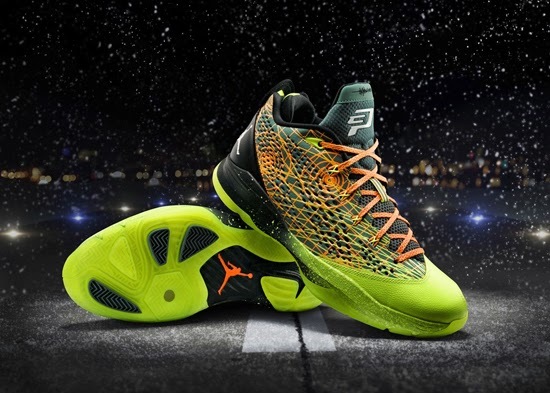 Those of you looking for a pair of the Jordan CP3.VII now can, grab them from eBay here. 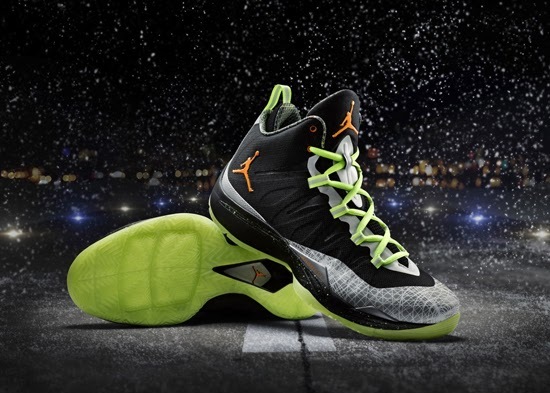 Lastly, if you're looking for the Jordan Super.Fly 2 now, you can grab them from eBay here.